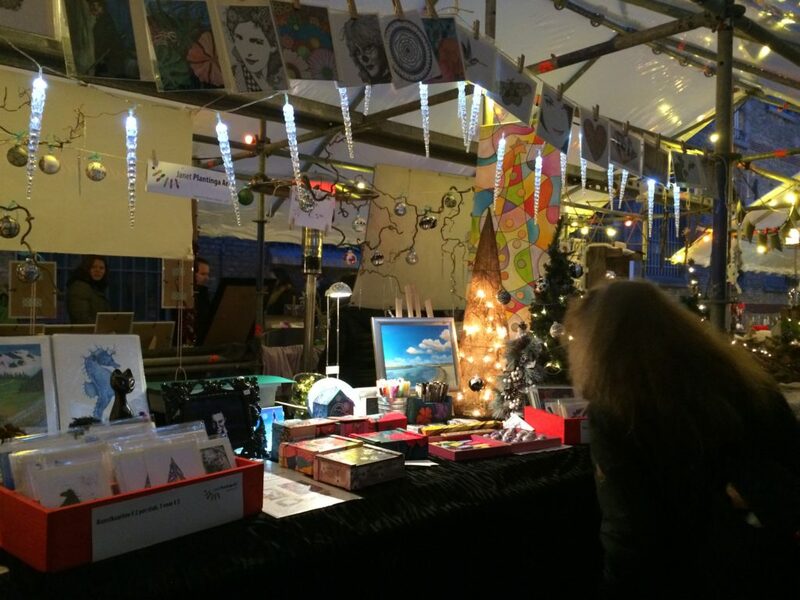 What a great Christmas market in the Blokhuispoort in Leeuwarden! Thanks mum for your wonderful help, thanks to all the visitors of the market, thanks to all of my customers, thanks for all the great little talks, thanks for the organisation of the market. To that sweet girl who got the pens to decorate tree balls from her dad: succes decorating and I’m very curious about the result. To the nice lady who tought me how to ‘wichtel’: I hope your friends like the surprises you got them. To Jan and Marjan: lots of luck together! That must be no problem with the little ‘liefdesblokje’ you bought. Just some of the nice contacts of yesterday and today. Now I’m gonna give my legs some well deserved rest. Clean-up-day is tomorrow ;-). If you visited me yesterday and you now want to buy something, please send me an e-mail. Click the link in the left menu to find my email adress.